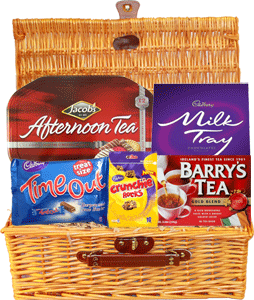 Treat your mom to our delicious Afternoon Tea Gift Basket -Jacobs Afternoon Tea 1kg (35.2oz), Cadbury Milk Tray 400g (14.1oz), Timeout Treatsize 208g (7.3oz), Barrys Gold 80 Tea Bags 250g (8.8oz), Cadbury Crunchie Rocks 145g (5.1oz). * Due to availability factors certain products may be substituted with items of equal or greater value. 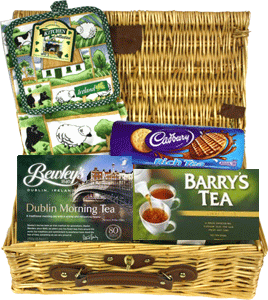 Bewleys Dublin Morning Tea, Barrys Irish Breakfast Tea, Countryside Towel & Pot Holder and Cadburys Rich Tea Cookies. Presented in a luxury lined wicker basket. * Due to availability factors. 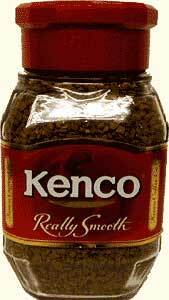 certain products may be substituted with items of equal or greater value. 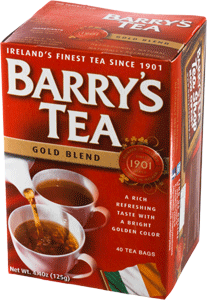 Barry's Tea Company was founded in 1901 by James J. Barry, grandfather of Peter Barry. From the outset, the company specialized in high quality tea and in 1934, Anthony Barry - father of Peter Barry - was awarded the Empire Cup for tea blending. 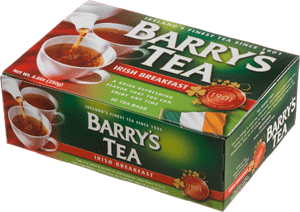 Until the 1960's, Barry's Tea was sold mainly from our Cork City shop in Prince's Street, but because of its increasing popularity with the tea-drinkers in the locality, we decided to widen the wholesaling and distribution of the brand. The company began selling tea to shops in Cork City Center, expanding into the suburbs and then out to the rest of the country. At the same time, Barry's Tea tasters began to sample exciting new teas coming from East Africa. When these new teas were introduced to the Barry's Tea blends, it became more apparent to our customers that the qualities of freshness, flavor and distinctive color were very much unique to Barry's Tea. 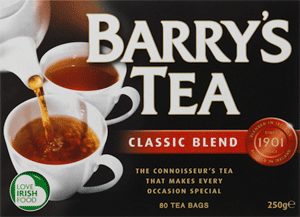 Simply, by word of mouth, the reputation of Barry's Tea continued to grow and by the mid-1980s it had become a significant national brand. 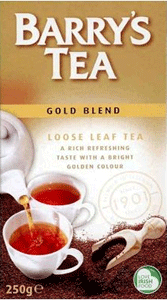 The finest quality teas with a uniquely refreshing flavour and a bright golden color.